Overtraining and Undertraining: Equally Bad | Podiatry Associates, P.C. Any athlete can tell you that undertraining for a race, a competition, or simply all-around strenuous activity is asking for trouble. Most people can’t pop off the couch one morning and run a marathon that afternoon. Their bodies aren’t prepared to handle that. Even if you were naturally strong enough to try it, that kind of sudden stress without preparation risks injuries. What not all athletes realize, however, is that overtraining can be just as detrimental as undertraining. Both increase your risk for injuries and decrease your athletic performance. Overtraining is a problem with excessively straining your body as you train for a sport or other athletic activity. Normally this happens when you sharply increase your training regimen or when you don’t rest enough. Maybe this means you decide to suddenly add big hills to your regular running route. Maybe you extend your normal regimen at the gym by an hour, or go more often with fewer days off. In either case, the added stress takes its toll on your lower limbs and your body as a whole. Undertraining is a problem and can lead to pain, but don’t overcorrect and end up overtraining—it’s just as bad for you. The key is to find the perfect balance so your lower limbs and body as a whole grow stronger without getting hurt. 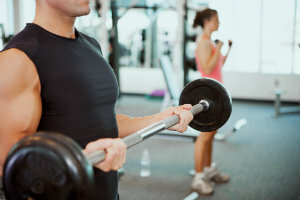 Let Castle Pines Physical Therapy and Cherry Creek Physical Therapy help you train at your best for your activities, and correct any overuse problems. You can reach our Castle Pines or Cherry Creek, CO offices through our website. You can also call (303) 805-5156 to make an appointment.